Greg was photographing an event this past weekend and another photographer was shooting too, but after every image she would look down at her camera to check the image. This is called chimping, and doing it too often is a very bad habit. Usually a photographer who does that is very inexperienced and uncertain of their equipment or photography skills. 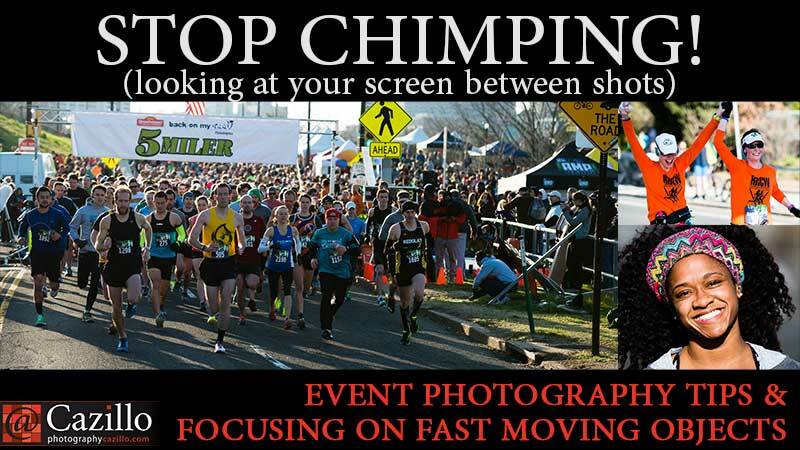 Practice more and stop chimping! Other topics in today's show were event photography tips and a #Cazillion question about focusing on fast moving objects. Keep shooting!